What the Facebook is Kony? I was planning a quiet night in, then Kony happened. It started on my News Feed on my way to work this morning – ‘”Kony 2012 WATCH!”. I assumed it was a European DJ Set. It didn’t stop once I got in to the office – every colleague had something to say about this illusive Kony; no one knew who or exactly what he was. By lunch I believed him to be an African cab driver we should support. Not true. Once I’d arrived home my roommate started about this guy. 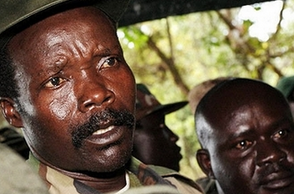 Kony, to the best of my knowledge, is a dictator kidnapping children to support his cause. What I am really interested in is the social media phenomenon that has ensued which will make March 8th for many years a ‘Kony 2012 Day’. “You know what’s crazy about this – nothing like it hasn’t ever happened before” my dinner guest Brad remarked “I started using Facebook in 2004. Now I believe once they find something else, they will campaign about it the same way. If a group believes in something important, it’s going to happen like Kony”. Brad believes that if social media was around back when he studied Rwanda at university, the outcome could have been an entirely different story; he proposed that Rwanda may have been considered a genocide, as opposed to a civil war – as the media and government portrayed it. This is the kind of injustice Invisible Children are trying to convey. I wasn’t expecting to have this kind of dinner conversation on a standard Thursday night. I’m not here to discuss the merits of this campaign, or Kony himself; the evidence is clear. One thing we can all agree on is how quickly ‘Kony’ was exchanged through social media; nobody was safe from this information – whether you were my bus driver or dinner guest. Today, news programs were rejigged, newspapers made extra room, radio airwaves were clogged for this story that was born this morning. I was actually astonished when I texted my editor regarding this article to find ‘Kony’ was not on already on autocorrect. What is incredible is the power of Twitter and Facebook that grabbed the world’s attention – in one day. A bigger idea? This process could end up changing people’s convictions. If the Kony 2012 viral protest makes a difference, I cannot wait to wake up tomorrow and meet our next campaign.